Matters of the heart. In the end, isn't that what it is all about? I was days away from a vacation to Asia...a trip to Seoul, South Korea, fueled by excitement and wonder and a bit of trepidation. It would be the first time in my career in news that I would have two weeks off. My boss, Camille Edwards at WABC, asked me if I would go to Houston, Texas, where our ABC-owned television station, KTRK, had already been working around the clock for days as Hurricane Harvey bore down on the Gulf Coast. Now they were dealing with historic flooding, impacting hundreds of thousands of people. Our seven other stations were sending people and equipment to Houston to add to the station's coverage and to give a needed break to the staff. I was being asked to coordinate that effort in Texas. So it came down to my news heart, and Seoul. And so here I am in Houston, in absolute awe and full of respect for the compassion and bravery of the reporting staff, the journalistic excellence of the managers and producers, and the grit and resolve of the people of Houston. I thought a lot about the contrast between these events and the news days earlier in Charlottesville, with the seemingly growing confidence to act on hate of "the other," rather than consider the possibility of love. 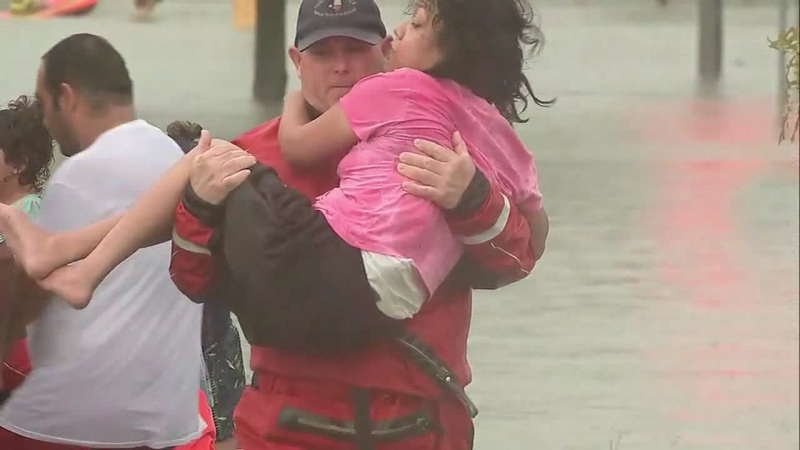 In Houston, we saw neighborhood squabbles collapse into the arms of the man next door, and if anyone thought anything about their rescuers race, religion or orientation, you couldn't see a trace of it on their relieved faces. Our human nature rises to every occasion when Mother Nature dishes out the worst. Maybe she knows when we need to be reminded. It turns out, I had to come to Texas to rediscover soul.